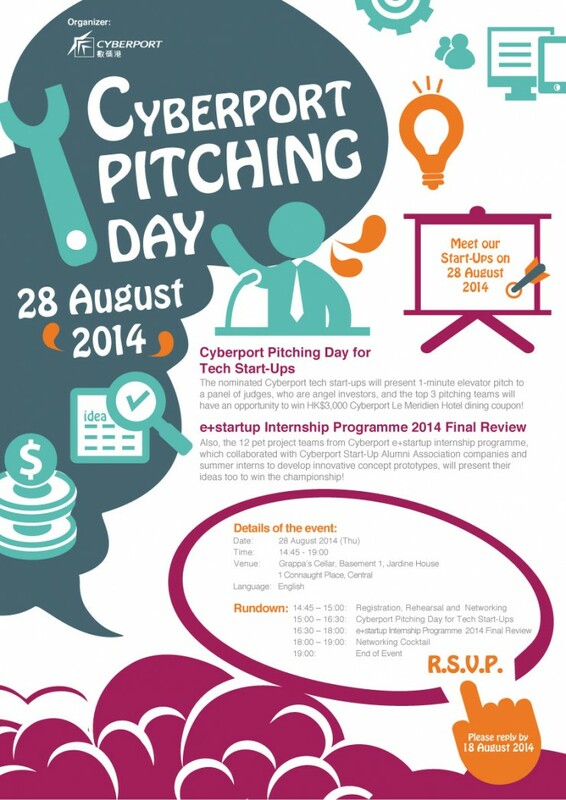 Hong Kong Cyberport is inviting tech startups to pitch for prizes. The nominated Cyberport tech startups will present 1-minute elevator pitch to a panel of judges, who are angel investors, and the top 3 pitching teams will have an opportunity to win HK$3,000 Cyberport Le Meridien Hotel dining coupon! Also, the 12 pet project teams that includes: Air Button, eSchoolPad, SnapViva,Johnshout Brothers Network Platform, Lattice Elegant Portfolio Decision-Assistance Platform, Mobile Game Testing Platform, Mobile Career App, Mahjong World, from Cyberport e+startup internship programme, which collaborated with Cyberport Start-Up Alumni Association companies and summer interns to develop innovative concept prototypes, will present their ideas too to win the championship! Kyle admires innovative ideas and teams with great synergy. He believes the team itself always comes before anything else. 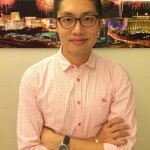 Kyle has been actively involved with several startups in HK which offers user experience and operational advise. His company – Big Bloom Investment Ltd’s motto is ‘invest in Heros’ as he believes all entrepreneurs are heros; as they have the courage to follow their dreams and start something from scratch. Kyle comes from a manufacturing management background and holds a hospitality management degree. Carman’s first internet venture, Englishstreet.com was adopted as a business case and stored in Harvard Business Review database. Englishstreet was later been acquired by Hong Kong Economic Times, a listed media group in Hong Kong. By 2008, she founded Click Limited in China. Click launched a few projects which was later merged with Hiiir, the leading mobile marketing solution provider in Taiwan, which was then acquired by Far EasTone Telecommunications (FET). Through these exposures, Carman gained extensive exposure and network in the Greater China internet market. 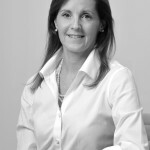 Jennifer has over 25 years of experience in asset management, investment advisory and technology in HK. Her technology experience includes strategy for Chinadotcom among other technology firms. A serial entrepreneur, she has launched, managed and sold an investment advisory firm and fund of hedge funds. In 2005, she was named one of the finalists for The HK Business Woman of the Year award and currently sits on numerous technology and investment company boards. Raiyo has personally started businesses, invested in early-stage companies and helped young firms raise cash; he has helped shepherd incubators; and he has helped inaugurate angel networks in Hong Kong, Singapore and most recently in Malaysia. His views are often solicited by policy makers seeking to cultivate an entrepreneurial eco-system in their backyards. Passionate about bringing innovations, technologies and different business models to market, Raiyo is involved as a shareholder in a number of early stage businesses across the Asia-Pacific region at any particular time. Continuing to give back, Raiyo is especially busy now as the founding Vice-President of the Malaysian Business Angel Network (MBAN), which is working to grow the angel community in Malaysia in association with other global business angel networks, e.g. 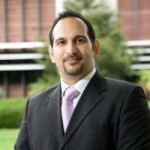 European Business Angel Network (EBAN), Australian Association of Angel Investors (AAAI), US Angel Capital Association, Business Angel Network SouthEast Asia, Mumbai Angels, and Asian Business Angel Forum.